are rich, sucessfull and VIP. DiamondSound Vst can be used almost in all styles of music, especially in Hip Hop,Pop and RnB styles. This plugin empower status, power and glory of its owner and its not making ANY other changes to mix. 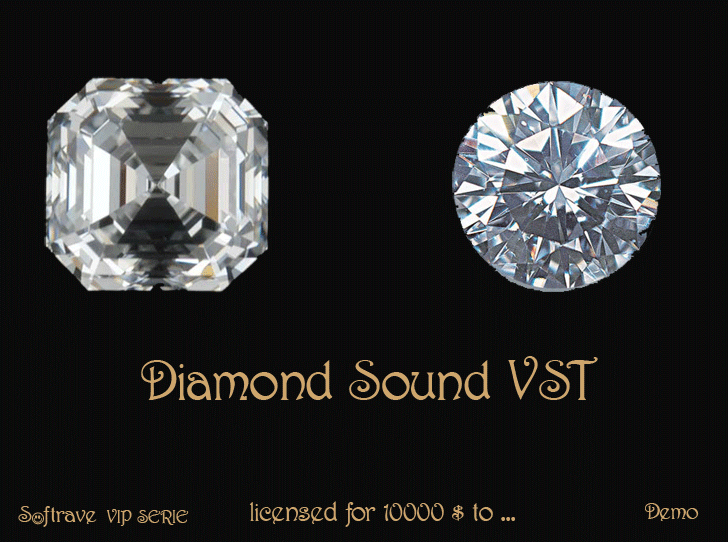 You can purchase DiamondSound VST with Paypal or debet & credit card. We well send you instrument as soon as possible, normally the same day, 2 days delay is possible sometimes. This plugin is licensed for one person only, you have no rights to share this plugin with other people. We want to protect our intellectual property that we sell for affordable price.